Today is New Years Day, 2014. On this day ten years ago, I was in the hospital recovering from cancer surgery with a 4-inch vertical incision straight through my belly button, and a third of my large intestine removed. That was the lowest point of my life... A few months ago, while rummaging through some old stuff, I found a video clip of me in the hospital, shot immediately after I came out of surgery. I was in recovery, barely conscious, waiting to be taken to a room. But somehow I managed to film myself for a few moments. I'm glad I did. Here are four video clips of my talk at the 2013 Hungry 4 Health Organic Festival in Branson, MO. Back in 2004 when I first started to research natural therapies I read every natural cancer survival testimony I could find. I found many common threads and one of them was jumping on a mini trampoline, aka Rebounding. I figured since so many natural survivors and health practitioners were doing it there must be something to it... Here's a video I made about rebounding along with a detailed blog post about the science behind rebounding. I whipped up this little video to show you how I make my salads and salad dressing. Enjoy! Ok so after several requests I decided to shoot a quick video on the raw vegan coconut fruit smoothie I drank everyday as part of my anti-cancer diet. Another key component in my cancer fight was drinking copious amounts of herbal teas. Specifically the ones with high anti-oxidant and immune boosting properties. Most days I would have a hot cup in the morning, iced herbal tea with meals, and a hot cup before bed. I highly recommend you get these super healthy teas into your body, pronto! I am not a doctor or a scientist. 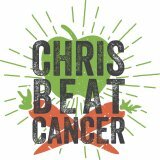 I am a self-educated chemo-free cancer survivor and I often have people contact me who want to know more. In this post I explain in the simplest terms what I have come to understand and believe to be true about chemotherapy and why I did not do it. We've all heard that most people need 6-8 hours of sleep per night, but you may need much more, like 9-10. Not getting enough sleep night after night leads to a "sleep deficit" that keeps growing. And with that sleep deficit comes a gradual degradation of your health. A major key to health is figuring out how much sleep you need, then getting it. If you're eating the standard modern diet full of processed food and artificial ingredients; you're putting toxins in your body faster than it can eliminate them. These unnatural chemical compounds are accumulating in all the tissues of your body, and have been for most of your life. Over time these toxins accumulate inside you until there is a tipping point at which your body is so overloaded that essential systems and functions begin to break down. This is why periodic deliberate detoxing is critical. The Centers for Disease Control and the National Cancer Institute recommend you eat at least 5 servings of fruits and veggies per day, but 10 servings per day is optimal. Let's face it, that's tough to do! Most folks I know don't even average 1 serving per day. Our bodies are starving for nutrients and juicing is the best way to extract massive amounts of nutrients from vegetables; without having to sit down and eat several pounds of vegetables per day. Knowing what to juice and what not to juice is critical.